Watch our site as we make changes top to bottom! 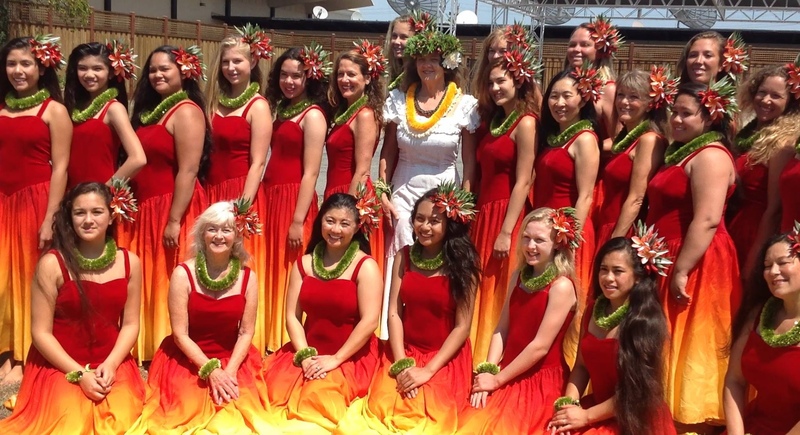 Te Hau Nui School of Hula and Tahitian Dance: Kuhai Halau O Kaleiokalaua’e in Santa Cruz perpetuates Hawaiian and Tahitian culture through classes and performances in Hula, Tahitian and Maori Dance. 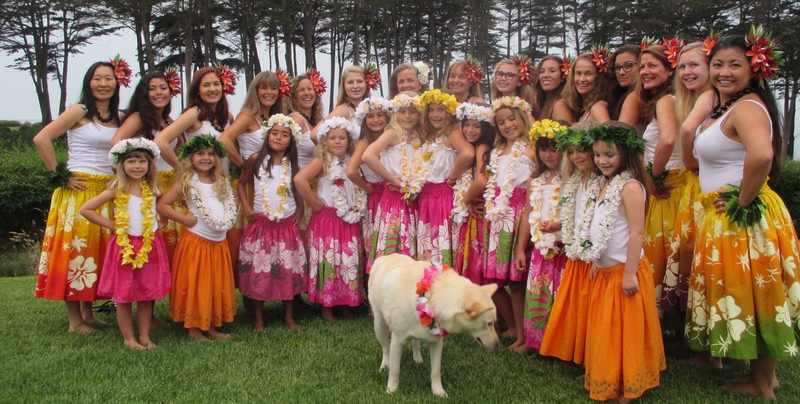 In our classes we share a sense of ohana or family through deepening our knowledge of this cultural treasure. 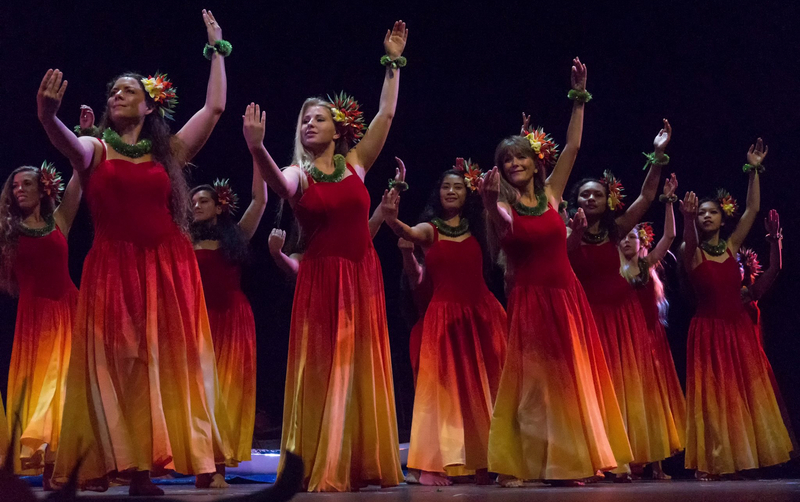 Through the sacred dances and festive dances of Hawai’i, Tahiti, and New Zealand, we evoke the magnificent spirit of Polynesia and its people. Kuhai Halau O Kaleiokalaua’e means to stand in the lineage of Kumu Kaleiokalaua’e, who receives her inspiration from her Kumu Loea Frank Kawaikapuokalani Hewett. 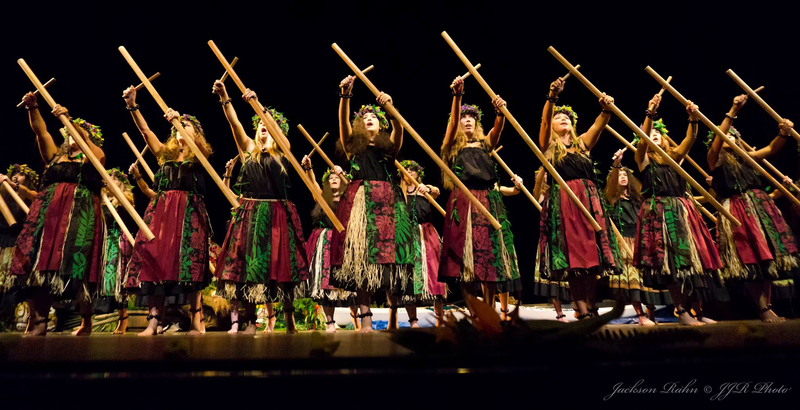 Te Hau Nui means forever peaceful in Tahitian and through sharing this art form, we convey the beauty, grace, joy, and power of Pacific Island dances. 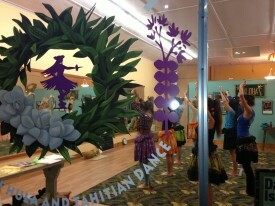 We welcome you to join our Te Hau Nui School of Hula and Tahitian Dance through our classes and performances. 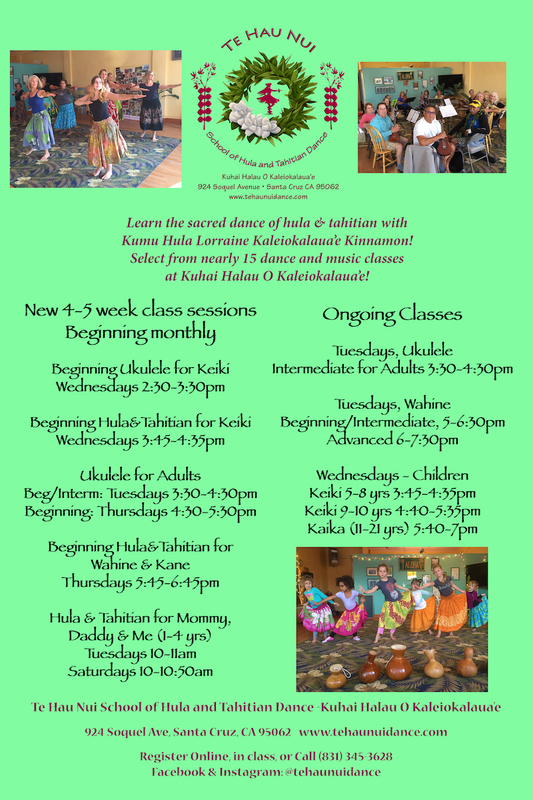 In our halau (literally meaning a hall consecrated to the hula), we share the meaning of ALOHA with one another: A kahai to be kind, L okahi to be inclusive, O lu’olu to be agreeable, H a’aha’a to be humble, A honui to be patient.